CUSTOM IN-OFFICE FABRICATED DEVICE, DESIGNED TO IMMEDIATELY STOP SNORING AND REDUCE APNEA. Do you suffer from disruptive snoring? Have you been diagnosed with Obstructive Sleep Apnea and find your CPAP uncomfortable? We can help! Using proven alternatives you will soon be able to Sleep, Dream, Thrive© and live the life you desire within your first visit. 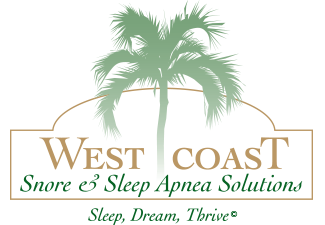 Dr. Anisso, Dr. Montague, Dr. Henninger, Dr. Huenergardt, and Dr. Milliner along with the team at West Coast Snore and Sleep Apnea Solutions focus on the treatment of snoring and Obstructive Sleep Apnea. We offer oral appliance therapy that is comfortable, discrete, silent and as effective as CPAP for most people. We also offer home sleep testing and an effective same-day treatment solution that can provide you with immediate relief. Let us help you improve your SLEEP, reclaim your DREAMS, and recover your ability to THRIVE! We have 2 convenient locations to best serve your needs. Most medical insurances are accepted including Medicare. Please contact us to make an appointment today! If your sleep apnea is hindering you from functioning properly during the day, make a decision to feel better through advanced treatment solutions such as oral appliance therapy. Call our offices today to schedule a sleep consultation with one of our four highly qualified doctors. Our four doctors are all highly qualified to treat snoring problems and Obstructive Sleep Apnea.